Franchises are everywhere. You’ve probably been to one in the last few weeks. McDonalds, Subway, KFC, 7-Eleven, Marriot, Ace Hardware, Jiffy Lube, Hertz, just to name a few. Franchisors, companies in the business of selling their brand and business models for individual entrepreneurs (franchisees) to emulate, represent many of the most recognizable businesses in the world. However, the model itself is offering your brand and methods while ostensibly having somebody else employ and handle the individual businesses—especially from a liability standpoint. This separation in liability as an employer, however, is something that the development of joint employment law over the last several years has made far from certain. Join employment rules, an issue we’ve discussed before in the context of franchises, create situations where two entities can both be an employer to one employee where they both exert the appropriate level of control over that employee. This is especially true in California, where joint employer rules are extremely strict. From a practical standpoint, this means that both parties—in the franchise context both the franchisor and franchisee—can be held legally accountable for violations of employment law. This substantially increases liability in situations where somebody may be hiring through an agency or, more relevantly, when a franchisor is asserting enough control over the employees of a franchisee. Whether you are a franchisor, a franchisee, or work for one, the outcome of this hazy question of employer status is important to your rights and to the potential for recovery—these enormous franchisor’s like McDonalds certainly have deeper pockets than the individual franchisees. What’s more, franchisors and especially fast food franchisors are common targets of wage an hour and overtime claims; making this lack of clarity more important. However, just recently at least one district court has taken it on itself to give the issue at least some clarity in ruling on the joint employer status of the legally beleaguered (at least in the last few years) sandwich franchise—Jimmy John’s. At least for now, the answer seems to lean towards franchisors not being joint employers. What are the Details of the Jimmy John’s Case? 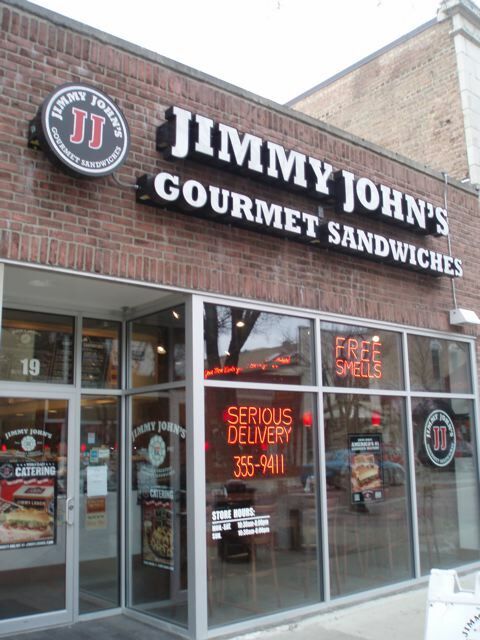 The case, brought in Illinois district court, is a class action brought by Jimmy John’s assistant store managers who argue that Jimmy John’s is liable for misclassifying them as exempt from overtime pay. In order to succeed in this, they need to show two things. First, that their position does not have the pay level, duties, or other qualities necessary to qualify them for a pay-based or white collar overtime exemption. Second, and more relevant to the ruling and discussion here, they need to show that Jimmy John’s is a joint employer and can be held liable for their misclassification in the first place. Jimmy John’s is an enormous franchise, they have thousands of stores and all but 5% of them are franchisees. They have a certain level of control over all these franchisees: required policies, visiting auditors, and more. However, the question is whether their level of control qualifies them as a joint employer. We’ve discussed the developments in the law on this issue over the last few years in the past. However, it’s worth revisiting the foundation of where the state of the law is at the moment. The National Labor Relations Board (NLRB) issued a ruling in the last few years that changed the way employment functioned—preventing an employer from avoiding employer obligations by hiring through a labor supply contract or temp agency. The entitles share or codetermine those matters governing the essential terms and conditions of employment. It also led to the NLRB bringing 43 cases against McDonalds alleging that they were a joint employer to their franchises—creating the basis of the legal snafu we find ourselves in today. On the legal side, this is useful guidance to some extent. However, it leaves some obvious questions. What sort of things show that a potential joint employer is codetermining the essential terms and conditions of employment? What even are the essential terms and conditions of employment? Unfortunately, this is something that different courts have approached in different ways. However, there are a number of elements which courts have focused on in deciding whether joint employer status applies and this case was no exception. This four-factor test was the one Jimmy John’s had promoted to the court as it worked fairly favorably for them. However, the court also chose to add in a few additional factors that the plaintiffs in this case suggested. No single factor was more important than another in the test, but are ostensibly all taken together to consider the situation as a larger whole. Looking first at the power to hire and fire, the primary argument was that the guidelines set forth by Jimmy John’s for its franchisees and their employees, often outright requiring termination or not hiring people based on certain behavior or characteristics. The court did not buy this argument and, relying on a Comcast case from a few years back, decided that there is a distinction between “quality control” in the hiring and firing process and doing the hiring and firing yourself. This is a bit of a fine distinction, requiring somebody else to fire somebody in certain situations is very close to just doing the firing. However, the evidence seemed to show that the bulk of hiring and firing decisions and considerations at each individual franchise were handled by the managers of that franchise. Next, looking at how much supervision and control of schedules and payment Jimmy John’s has, the court once again sided with Jimmy John’s. The main argument here from the plaintiffs focused on a practice out of Jimmy John’s which they called “Business Coaches.” Essentially, they have people who come in and audit the individual franchises every several weeks. If the franchise isn’t following the staffing and scheduling obligations as set out by Jimmy John’s, including a mandatory 50-hour week for managerial positions, the Business Coaches could exert pressure to comply by denying bonuses, reviewing the franchise negatively, or even threatening to cancel the franchise agreement under which the individual franchise operates and essentially shut them down. This is a lot of control, but once again the court didn’t think that these pressures to follow Jimmy John’s rules of scheduling and payment was the same thing as outright controlling scheduling and payment. Once again, they weighed this factor in favor of Jimmy John’s. The next two elements, determination of rate and method of payment and maintenance of employee records, went quickly and similarly to the others. Jimmy John’s has a lot of required rules for labor costs and such, but the court treated it as guidance. Finally, the records element was an easy win for Jimmy John’s as they simply don’t keep employment records of their franchises. This covered the usual factors, and with a sweep for Jimmy John’s not being a joint employer it seemed pretty obvious already where the court was going. However, the court also chose to consider several other elements the plaintiffs argued showed a greater level of control by Jimmy Johns. They looked at the fact Jimmy John’s can outright put a franchise out of business if they don’t follow all their human resource directives was control—the court called it guidance. They argued that an operations manual that each franchise is required to follow in how they handle and train employees was control—court said guidance. Brand standards are apparently not the type control required to establish that a franchisor is a joint employer. With every factor in favor of Jimmy John’s, the court dismissed the plaintiffs’ case against Jimmy Johns and ruled that they are not a joint employer. This is a summary judgment motion, that means the facts are construed most favorably to the non-moving party—the plaintiffs here—as possible. That means that the ruling is a bit of a slam dunk on the notion that a franchisor in a similar situation to Jimmy John’s is not a joint employer. As a district court decision, the ruling is not as far reaching as it could be. However, it stands for a very strong ruling leaving franchises in similar situations—most of them to be honest—a precedent to call upon as they continue to face lawsuits declaring them joint employers. On the flip side, it leaves the employees of these individual franchises less ability to hold the overarching franchisor responsible where they implement required employment policies that violate employment law. Even with the ruling, the precedent won’t be persuasive before every court and the question isn’t truly closed. However, the NLRB itself—in a new form and under a new administration as opposed to the Obama era version which issued the initial joint employer rules to protect employees across the nation—has declared that they will be revisiting the matter and issuing a proposed rule in the coming days. They expect to have something together and published before the summer is out. They said they were considering such a move in May, but have moved from considering to absolutely committed as of just the last couple months. This has caused some concern that the NLRB in its present state will issue a rule undermining the protections that currently exist—in the franchise situation and otherwise. Towards the end of May, Senators Elizabeth Warren, Bernie Sanders, and more wrote an open letter expressing their “strong concern.” NLRB Chairman, John F. Ring, has implied in comments that he has his own opinions of joint employer rules just as the previous administration did. This reference to the previous administration could be taken to mean he has the opposite opinion, and a wish to undermine the protections, although it’s far from a guarantee. It seems likely that a new proposed rule would limit joint employment protections for the moment. However, until the rule is in front of us, it’s impossible to guess the exact contours it might take on. As it is, the trend is continuing towards a blanket of protection for franchisors and preserving their business model. This is certainly a good thing for franchisors; the entire model had the potential to be threatened by the changes. Unfortunately, it also means that employees in this situation will continue to struggle to hold these same franchisors accountable for violations of employment law.